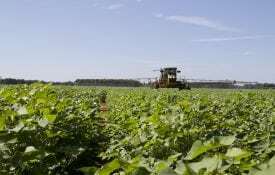 AUBURN, Ala. – Harvest is in full swing in Alabama. With many different pieces of equipment being used, this is the time of year that accidents can frequently happen. It is imperative that producers know the safety guidelines for all equipment. 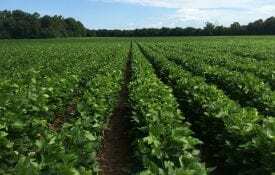 Jimmy Jones, an Alabama Extension county coordinator in Henry County, offers a few important safety reminders for all tractor operators and farm families during harvest season. This rule is important to remember for both children and adults. Children want to get on the tractor with mom or dad, but sometimes it is not safe for them to do so. 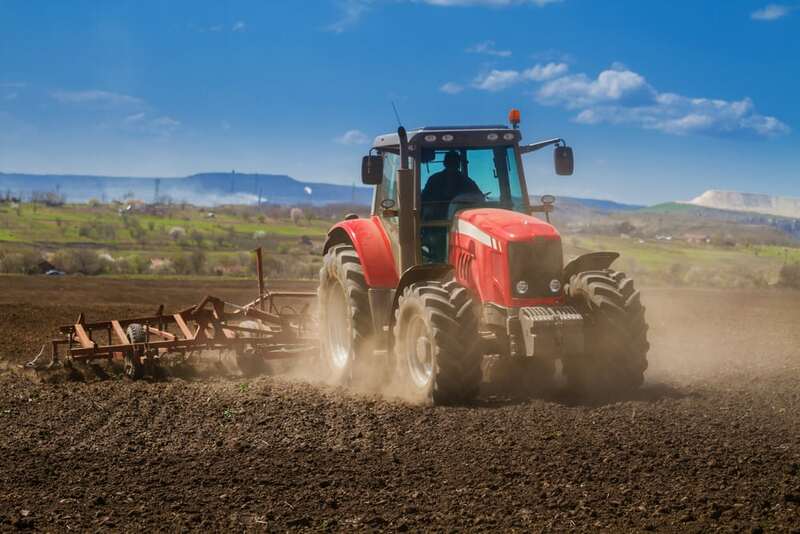 People should not drive family members or others on a tractor unless there are two seats, with seat belts, for a passenger to be safely secured. “It’s a very important time of year for farmers, but we want to be sure we’re looking out for kids on the farm,” Jones said. Always make sure your safety guards are on. “We have accidents each year where someone has taken a piece of covering off a power take-off or PTO,” Jones said. “Clothing can get wrapped in the drive shafts of the tractor, which could cause injury, so make sure all safety guards are intact before use. 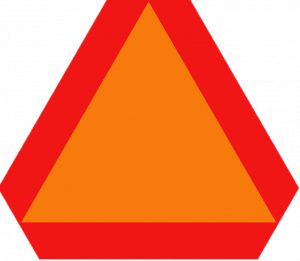 The red reflective triangle is a universal sign for a slow-moving vehicle. This time of year, peanut and cotton farmers move large, wide equipment down the road. Make sure all equipment features reflective triangles so other drivers can see you. “Pay particular attention to the slow-moving vehicle triangles that you are driving, as well as the equipment you are pulling behind your tractor,” Jones said. Also, don’t move equipment after dark. It is a hazard to you and other drivers to pull wide equipment at night, especially without proper flashers and reflective triangles. “I urge farmers to shut the tractors off, go home and move in daylight the next morning because most accidents happen in the dark,” Jones explained. Working long hours on hot days is tough. In a normal harvest season, it is not uncommon for farmers to miss meals and work nonstop. Taking care of your health is important and must not be ignored. 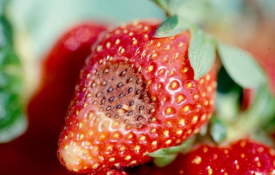 Even experienced farmers can make mistakes. It only takes one wrong move to cause an accident. Producers should take the time to review the safety guidelines of their equipment with themselves and anyone else using the equipment to ensure proper use. For more information on farm safety, visit Alabama Extension online at www.aces.edu or contact your county’s Extension office.